The Encyclopaedia of Animal Diseases has been carefully compiled and edited to meet the long felt needs of increasingly large number of those who have to deal with the different aspects of human diseases in colleges, universities and research institutes. 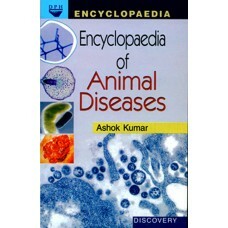 It provides a stimulating and important new view of interaction between animals and pathogens causing diseases. The objective is to introduce to students the essential principles for understanding various aspects of diseases. Most of diseases constitute the largest part of human pathology and are the primary cause of death. Hence, special importance is given to the study of such diseases. The book is intended to acquaint students of various fields involved directly or indirectly with the major principles of human diseases. The book may be helpful as well to practitioners and those engaged in medical research.